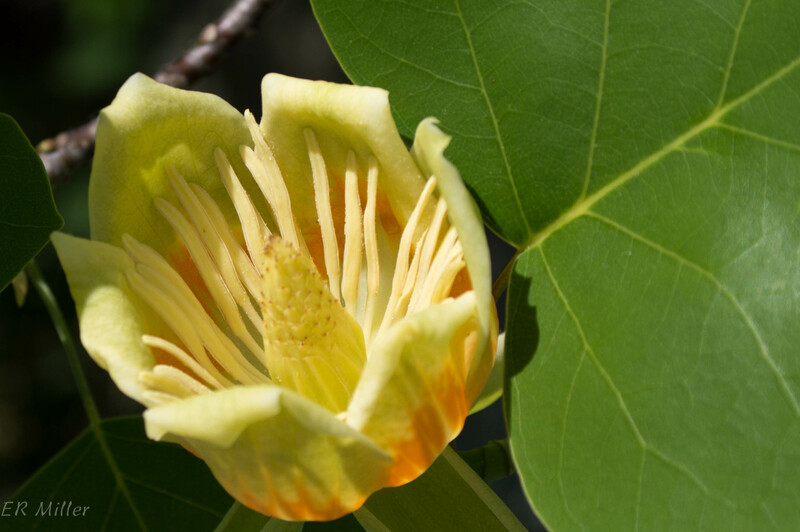 This species is one of only two in the genus Liriodendron; the other one is from the other side of the world. Its native range is from southern New England and Ontario to Florida and west to Louisiana. 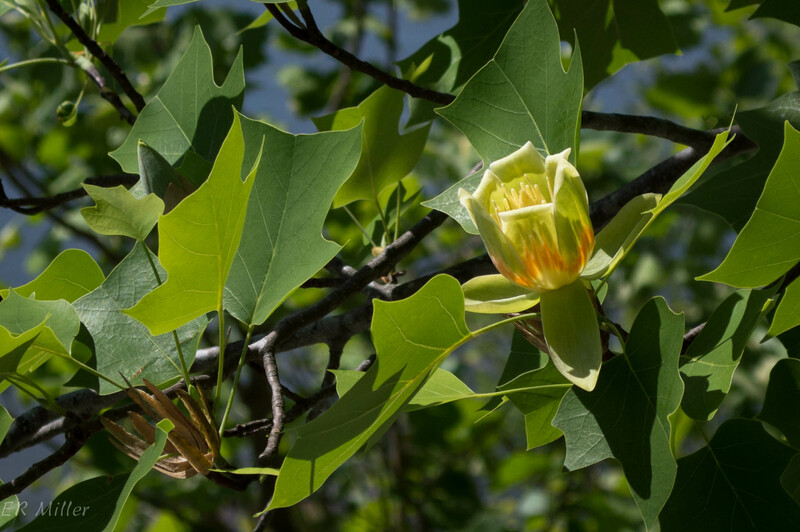 Tulip poplar grows fast up to 170 feet tall, and can live up to 300 years. The wood is valuable in construction. If you’re familiar with magnolias from landscaping, you can see why this tree is in the magnolia family. The flower is a few inches wide and hard to miss, unless hidden by leaves. Speaking of magnolias, I found a very interesting one recently. That will be the next post on this blog. This entry was posted in Uncategorized and tagged Liriodendron, magnolia, Magnoliaceae, tulip poplar, tuliptree by elizabeth. Bookmark the permalink.